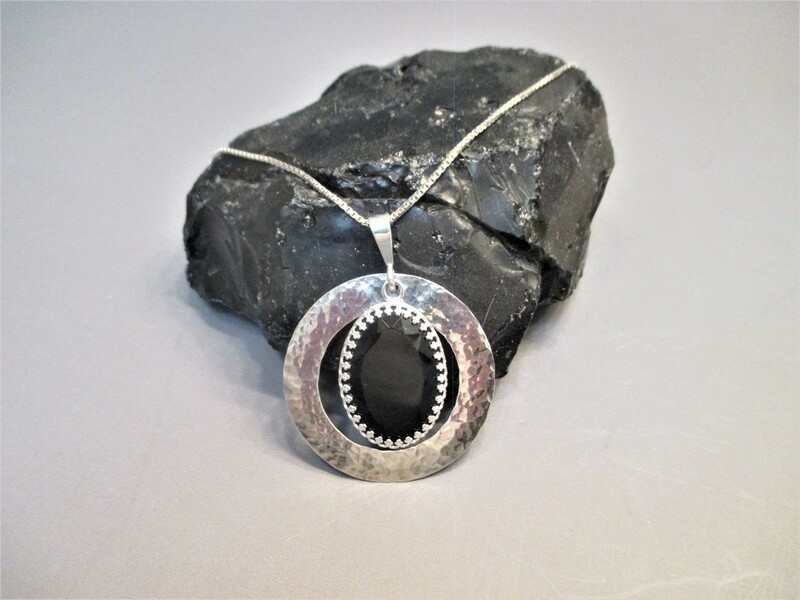 This beautiful necklace has an open circle design in hammered Sterling Silver. A 25 x 18 mm oval faceted Black Onyx is in the center. The pendant measures about 2" x 1 1/2" . The pendant will come on a 24" Sterling Silver box chain. The Sterling Silver is reflecting background colors ----- it plain silver color in person. One only ! Free shipping in the US.